Connect your mobile device to Ring.io and Salesforce. Modern selling is not confined to the office. That’s why Ring.io lets you use any device, including mobile phones. Simply set your mobile phone number as an endpoint in Ring.io and you’re set up. Use your business caller ID when making calls from your personal mobile device. 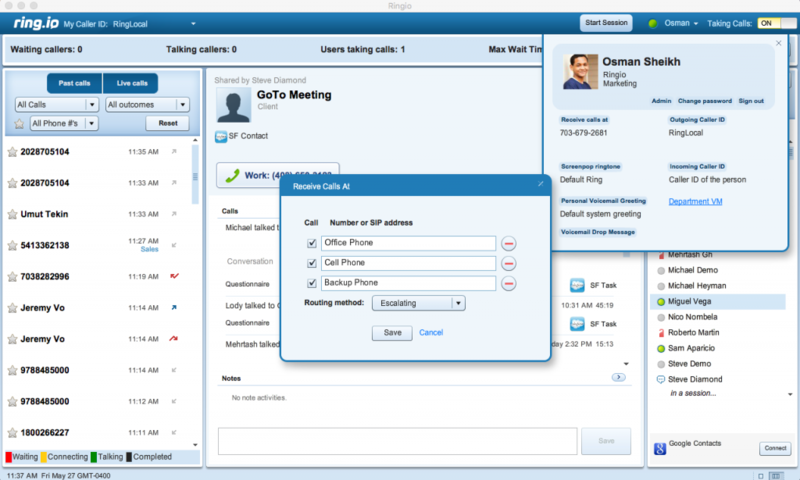 Log calls from your mobile device to Salesforce. Receive business calls on your mobile device as a backup to your IP phone. More and more sales teams are letting salespeople work from home. By connecting any mobile device to Ring.io, your sales team can work from anywhere and still be productive. Automatically log call data and call recordings to Salesforce from your mobile device so you never lose track of what's happening with your leads.